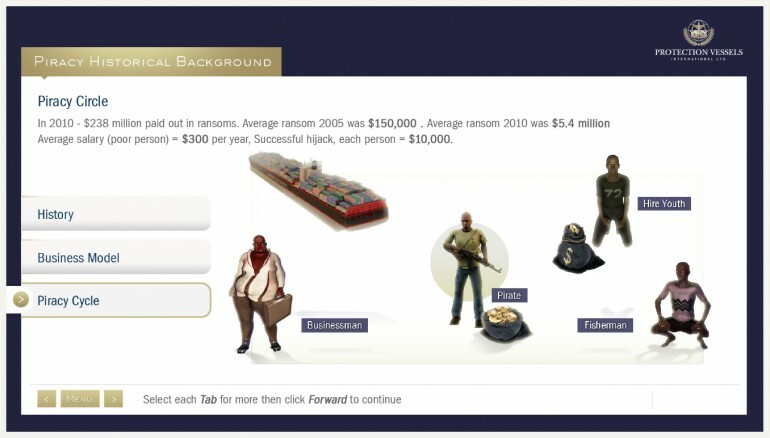 Twofour’s experienced multi-media development team, utilising advanced techniques, created a library of assets that fulfilled the requirement. The training content now permits the delivery of key messages and permits a blended training approach to understanding counter piracy operations, via a range of interactive solutions, within an instructor led environment. Skill’s used – Flash CC, DAZ 3D, Photoshop, Adobe Captivate.